Posted August 19, 2016 by William Martin & filed under Headlines. The third season of Grantchester will begin filming shortly in Grantchester, Cambridge and London. 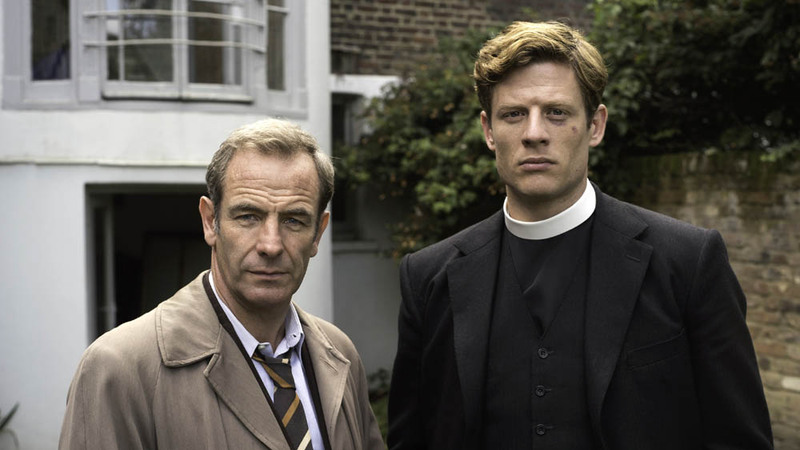 James Norton and Robson Green will return as crime-fighting clergyman Sidney Chambers and Detective Inspector Geordie Keating in six new episodes and a Christmas special of the 1950s-set drama. The show’s first ever festive episode will see pregnant Amanda adjusting to life having left her husband, Guy (Tom Austen). The love between Sidney and Amanda is palpable, but can a vicar in the 1950s really be romantically involved with a married, pregnant woman? Tessa Peake-Jones will return as Sidney’s sharp tongued housekeeper Mrs Maguire, alongside Morven Christie as Sidney’s forbidden lover Amanda, Al Weaver as the timid curate Leonard Finch, Kacey Ainsworth as Geordie’s long suffering wife Cathy and Lorne MacFadyen as DC Phil Wilkinson. 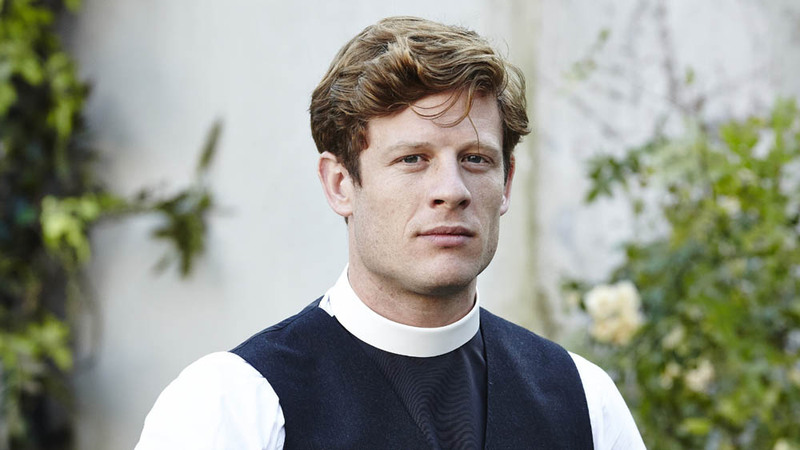 The official synopsis reads: “In the third series of Grantchester new Archdeacon Gabriel Atubo reminds Sidney that as clergyman he must put duty above his own needs and lead by example. Given the strength of his feelings for Amanda, is this something that Sidney can do? “On the face of it, Geordie is still happily married to Cathy. But there continues to be an undeniable spark between himself and feisty police secretary Margaret (Seline Hizli). “Leonard was left heartbroken after Daniel (Oliver Dimsdale) left him for another man, but in this series he appears to put this behind him and find romantic happiness with someone else. But will those around him allow him this happiness?